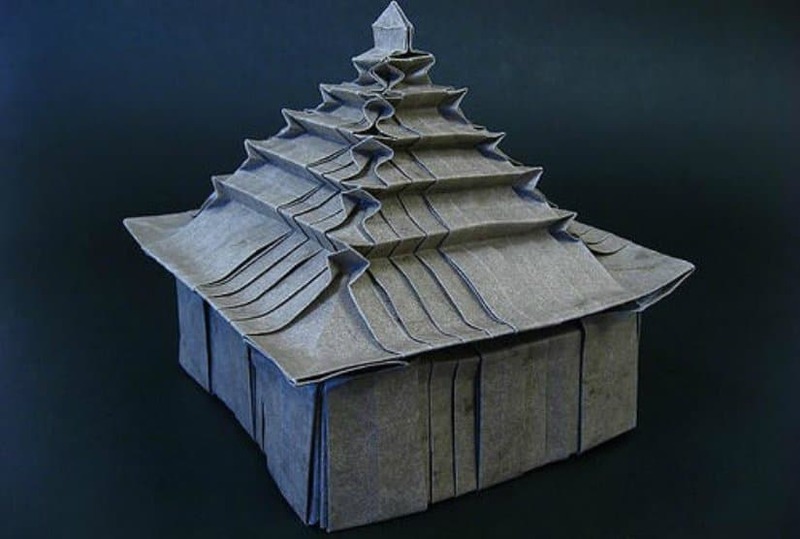 Paper folding is rarely considered to be an art form. Usually a hobby for the crafty children, origami is a leisure time activity for most and a fun idea for a personal gift for others. However, deep in its core, origami can be an artistic expression. Especially when one is passionate enough, paper folding can lead to staggering and astounding results. With deep roots in the Asian history and quickly taking the world by storm, origami has evolved from the making of little paper figures anyone can make, to truly detailed paper art pieces that take artists hours to complete. Whether or not you’re considering origami a simple hobby or an imaginative art, here are 10 extremely detailed pieces of origami paper art, which are truly outstanding! 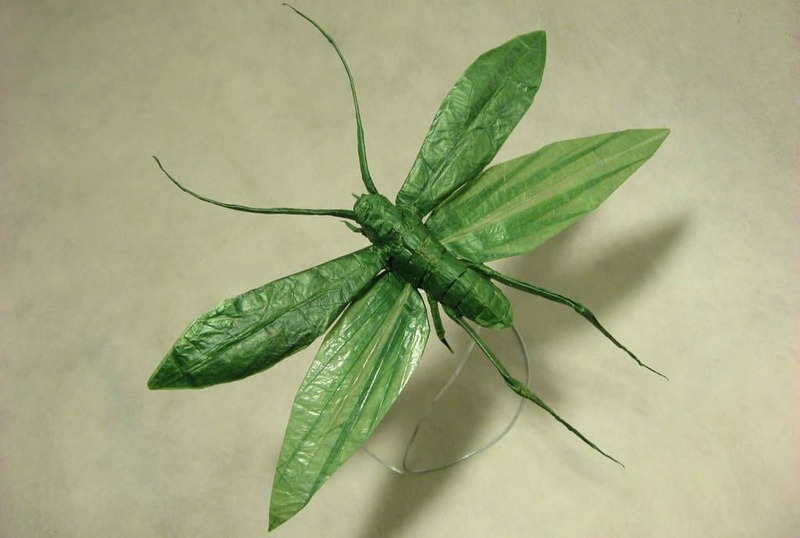 Designed and folded by Sipho Mabona, this extremely detailed Flying Katydid origami is a perfect example that paper folding can truly turn a simple piece of paper into amazing pieces of art. 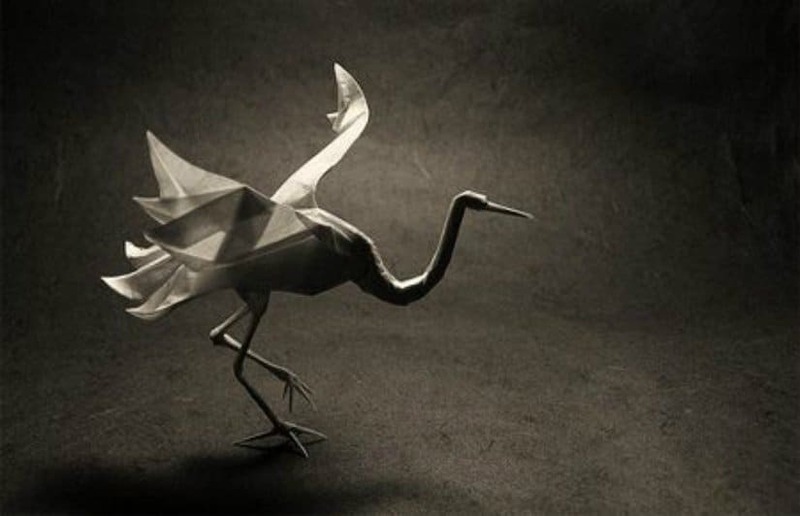 When it comes to origami, the first thought of many people are origami animals. 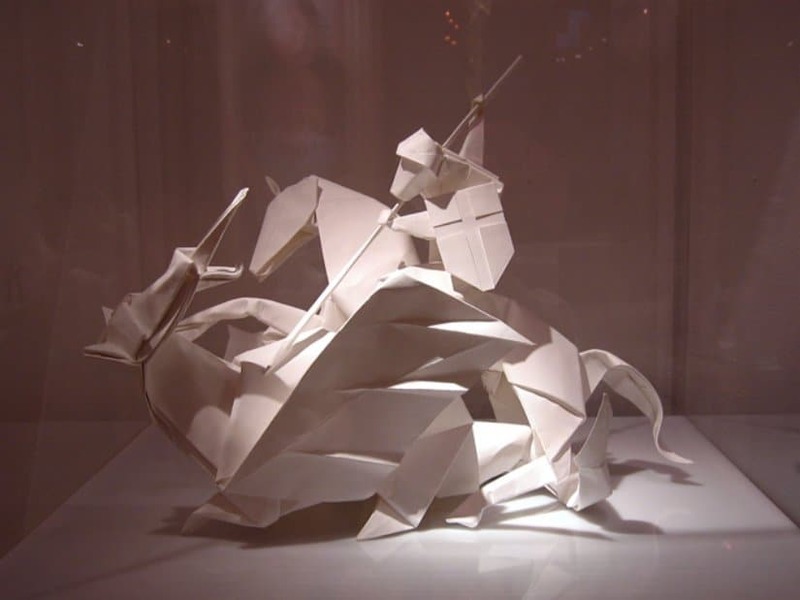 However, this Grulla is nothing compared to most paper-folding designs you can easily learn and do at home. It was made by Roman Diaz and Daniel Naranjo. You can’t consider something to be a true art form, unless you are able to make beautiful dragons. 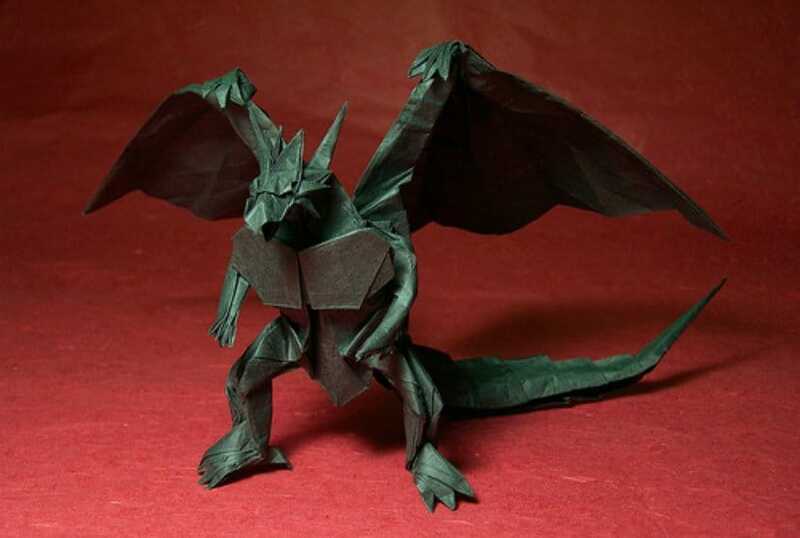 This divine dragon origami piece was designed and folded by Satoshi Kamiya and Brian Chan. 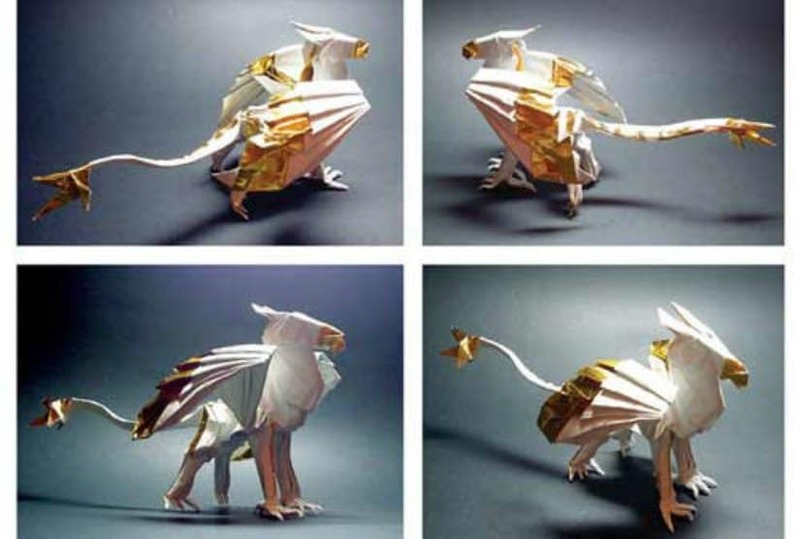 Paying tribute to ancient culture, this Gryphon origami is a perfect example of how complex origami art can get. It is simply astonishing! 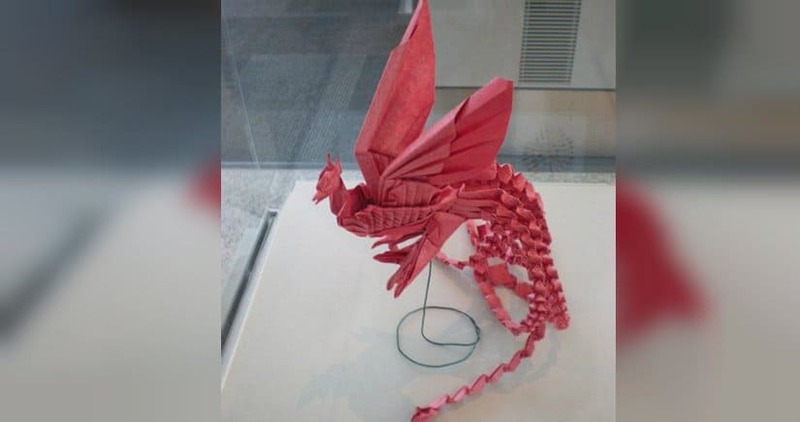 Folded by Alex Yue, this Phoenix origami was displayed at the exhibition in the Toronto Airport. It was designed by Chow Hin Chung. 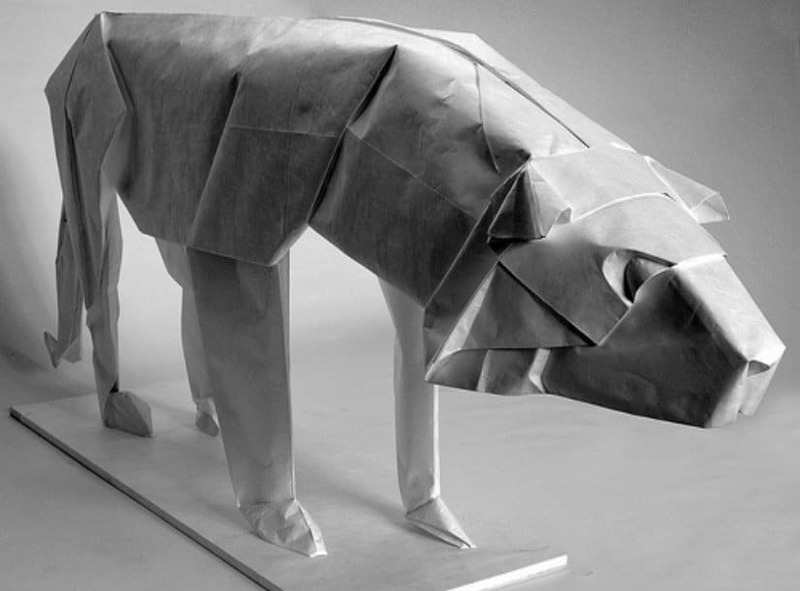 One of the biggest origami sculptures in the world, measuring at 270x110x60 centimeters, the Life Size Onitskua Tiger was created for the Asics lounge in Berlin. 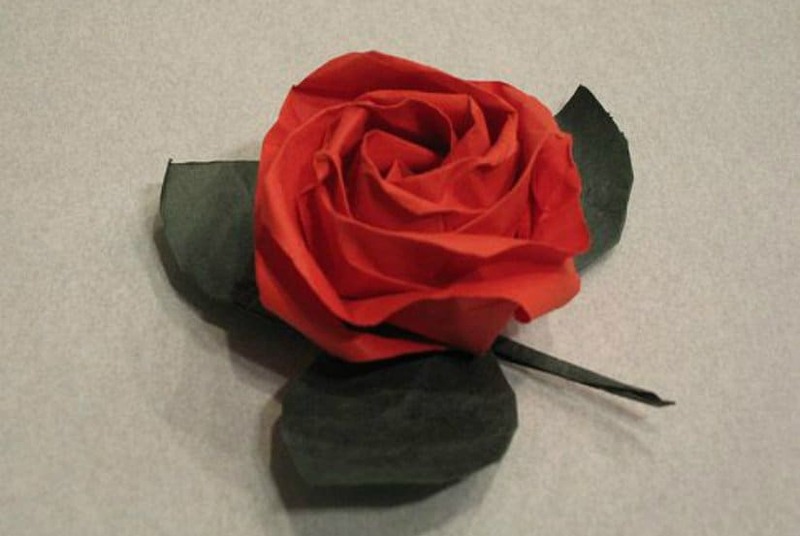 Even though there are a number of ways you can create roses with the use of paper, this Rose and Leaf folded origami is a true example of a masterpiece that rivals the beauty of nature. It was folded by J.V. Page of Origami Mitra. Origami can be used in a variety of ways. For example, this origami house was used as a prototype for a commission by an advertising company. An origami scene designed and folded by Dave Brill, this St. George and the Dragon piece shows that there are no boundaries when it comes to imagination, creativity and paper! 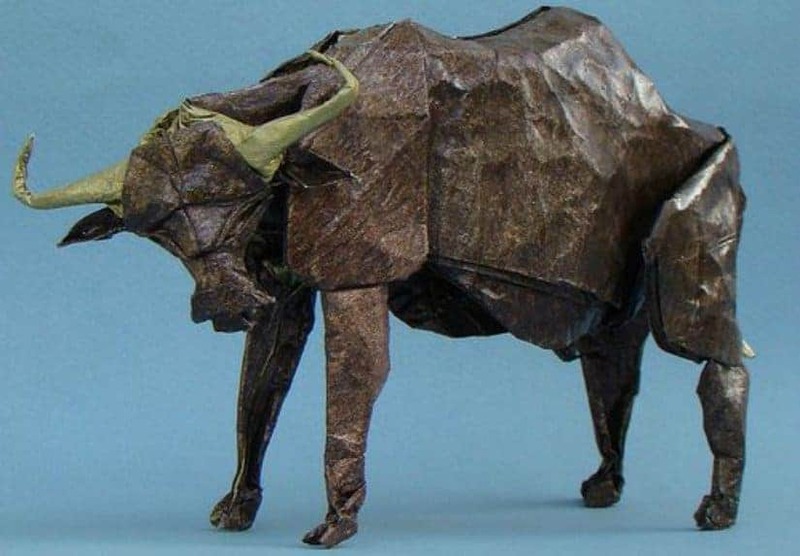 Outstanding in its design, this Water Buffalo is an extraordinary piece of origami art. It was created by Nguyen Hung Cuong and Sin cynic.